co-founded Authentic Food Quest to inspire you to travel through authentic food. Have you ever visited a goat farm in a winery? 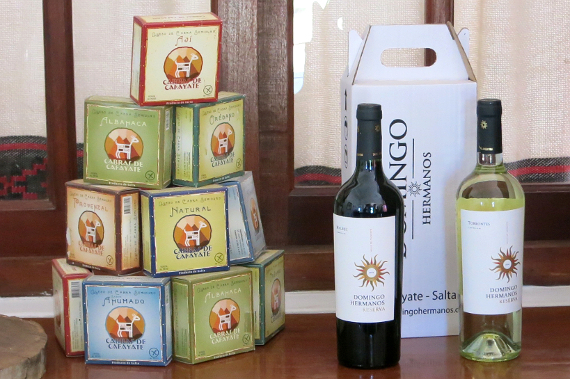 Our quest for authentic food in Argentina took us to Cafayate, the second wine producing region in the country. Our goal was to discover the famous Torrentés wine. Little did we know that we would find a goat farm in a winery! Goat cheese is one of the typical products from the Northwest part of Argentina. Until the Cabras de Cafayate farm was created, the artisanal goat cheese was produced marginally and without much sanitary control. To our delight, Cabras de Cafayate proposes tours of their goat farm followed by a cheese tasting. Let's walk you through the goat farm and the goat cheese experience! Cabras de Cafayate is located about 1.5 miles from the center of Cafayate. It can be easily reached walking in the beautiful setting of the Calchaquí Valley. 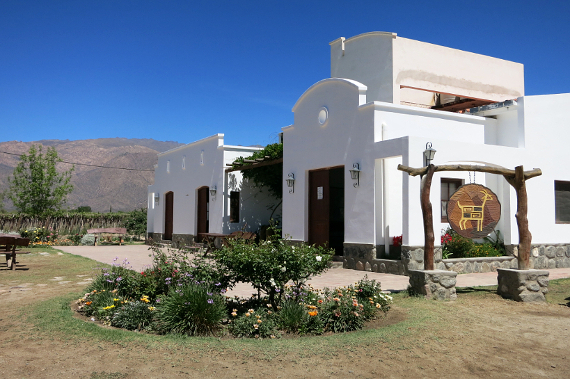 This unique farm is part of Domingo Hermanos winery, one of the most renowned wineries of Cafayate. In the 1990s, the winery originally acquired goats with the intention of using goat excrement as a fertilizer for the vineyards. Later on, as goat meat became popular on the menus of the local restaurants, they started selling the meat to the local restaurants. That's when Palo Domingo the owner of Domingo Hermanos had a vision. He tasked his son with an ambitious project: create an artisanal fabrication of goat cheese. 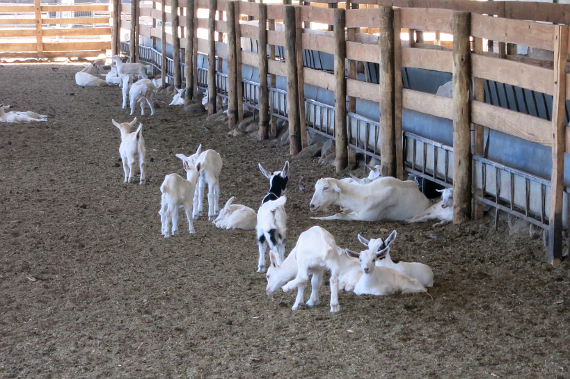 There are a total of 500 goats on the farm and 350 of them are producing milk everyday. The farmers carefully study the breeding of the goats to ensure they will be best to produce milk. The first thing you will notice as you walk through the farm is the lack of the peculiar odor that goats usually have. This is one of the very unique aspects of this farm. We learned that the females do not return to the dairy farm immediately after the milking service. This is to avoid contact with the urine from the males, which is the cause for the bad odor. The diet of the goats is very important and very specific. It is one of the particularities that makes this goat farm so special. The diet is studied to optimize the quality and quantity of the goat milk. 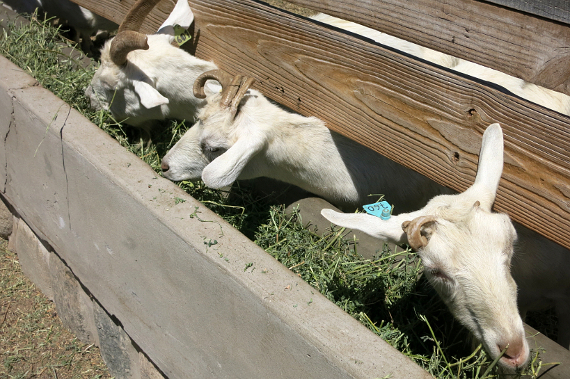 The goats eat the residue from the grapes pressed at the winery and other natural product from the field. This makes their diet rich in flavonoids, tannins and antioxidants. 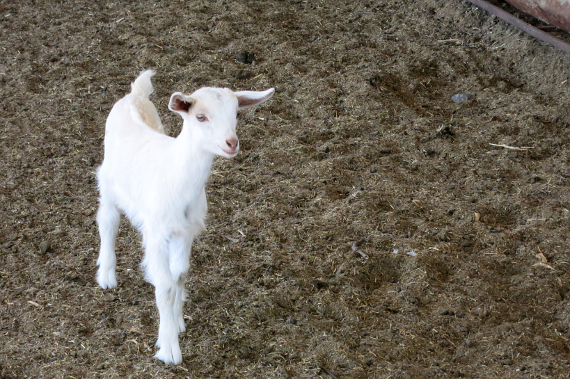 The tour of the goat cheese farm starts with a walk through the barns where the goats are kept and move freely. There, you will see the baby goats that are fed a different diet from the goats for milk in the next corral. You will also have the chance to see the newborns, which are kept with their mothers. In the dairy building where the goats are milked, only 24 goats can be milked at a time. The building is designed not to disturb the goats. They even play music to relax the goats during the milking process. What a nice treatment! The milking process is done once a day and each goat produces an average of 2 liters of goat milk. The goat cheese farm produce four types of cheese. Natural which is made without any adds-on. Ahumado or Smoked cheeses. Pategras de Cabras which is a type of gouda, very popular in Argentina. And cheese with spices added: Aji (chile pepper), Albahaca (Basil), Provenzal (Provencal Herbs) and Oregano (oregano). The products are packaged fresh and on site without the use of preservatives. That means you have up to 5 months to consume them. The farm is now accredited to export their cheese overseas. The farm also has a full lab that does all the testing on site. This provides traceability from the cheese back to the animals. The tasting is part of the tour and it is offered at the end. 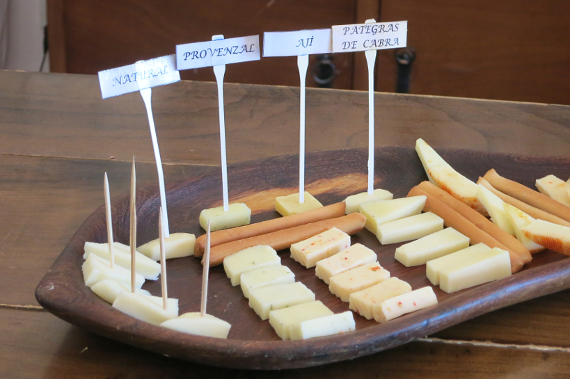 The tasting includes 4 types of cheeses all semi-firm: Natural, Aji, Provenzal, and Pategras de Cabra. Overall the cheese is mild, earthy and grassy tasting. The Pategras is the mildest of the all the cheese. 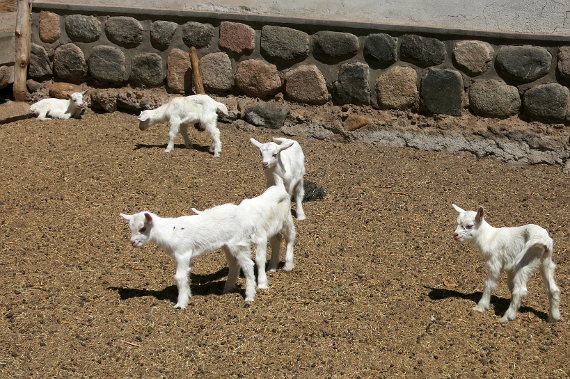 Visiting the goat farm Cabras de Cafayate is a unique experience. Plus, you get to learn a few interesting facts on goat cheese. First, the only fresh white cheese comes from goats' milk while cheese with yellow color comes from cows' milk. Secondly, Goat cheese is alkaline, making it easy to digest and rarely causes heartburn. And finally, goat cheese reduces cholesterol and has a much higher Vitamin A content than cheese from cows. With that said there is no reason to skip on goat cheese. If you find yourself in Calafate, Argentina make sure to visit Cabras de Cafayate! In the comments below, share with us a surprising local food tour you experienced on your travels.